Just wanted to update you on a few things. The blog has probably been a bit quieter than ideal over the past 12 months, but posts are well read by quite a large audience, both in the West Midlands and further afield. And further afield inlcudes abroad as well. Over 50 looks today and we haven't posted anything for quite a while. We have quite a large membership, so it would be good to have a few more participants. It can be anything moth related, from interesting finds, to queries to observations, to nice photos taken. It is aimed at beginner to advanced levels. Don't be shy! 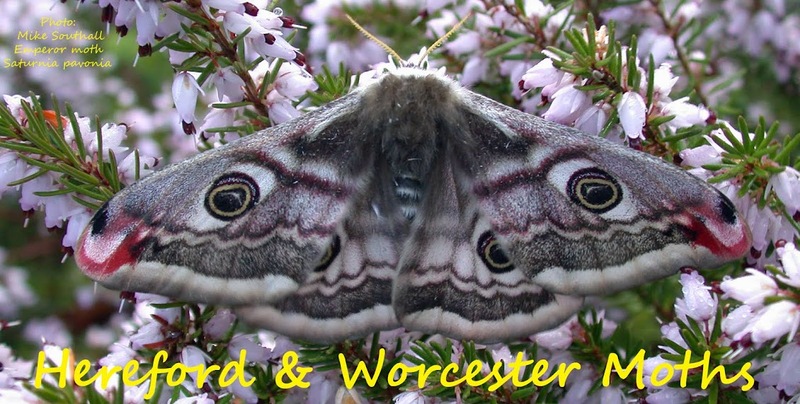 We now have a link on the West Midlands Butterfly conservation website as well. Talking of West Midlands BC, work on the new moth atlas website is quite advanced now and the next phase is to populate it with records and fix some small bugs. It will cover the West Midlands area and provide distribution maps of species and you can zoom in and out. Phenology graphs too and some basic stats per moth are added. There will also be direct links to the NBN Gateway, where you can view national distribution maps, and if BC will let us, we'll also include the data from the forthcoming atlas of larger moths too. It is looking quite good. Access will be via the West Midlands BC website. We plan to use verified records sent in to BC as the data source. As I'm busy building the Hereford Micro-moth database at the moment initial maps may not be totally complete, but these maps will be updated regularly, so hold on in there. What I like is that you should be able to pin-point your records on the maps and what is rare in one county may not be in another, so you can see this too. It is time to send in your records now. Any moths that you haven't been able to identify, but still have, can get sent to me or various others in Worcestershire too. Myself and Oliver are the verifiers on iRecord, so you can use this route for records if you choose. Otherwise ideally Excel spreadsheets and if you need help on the format, let me know as well. Finally, I'd like to change the cover moth photo, 2018 was a micro-moth, so 2019 ideally should feature a macro-moth. If you have an absolute favourite picture, please mail it in to me.